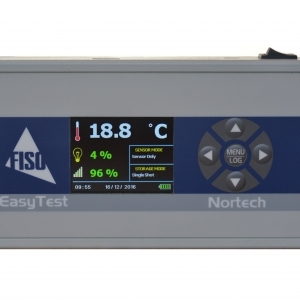 The Nortech EasyTest is the perfect complement to your FISO range of Fibre Optic Temperature Monitoring Systems. 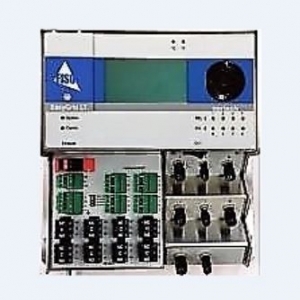 The single-channel portable tester is designed to check optical continuity on-site and in the laboratory to validate GaAs probe installation in the Transformer during manufacturing. Probe parameters are displayed with clear icons and can be downloaded and logged. user interface makes it easy to customize to your needs. The Fiso Model EGD-LT Fibre Optic Hot Spot Temperature Measurement System was designed to respond to the industry’s need for improved live loading efficiency and transformer life management. It complements the already highly successful EasyGrid, maintaining the EasyGrid’s principal features and ergonomics on a much smaller footprint. Cost-effective and flexible, the EGD-LT will allow direct, accurate, and real-time temperature monitoring of power transformers, thus maximizing their performance. The EGD-LT is best-suited for smaller transformers, and performs simultaneous temperature measurements on up to 8 hot-spots. Moreover, it boasts a flexible design for maximum customisable options to match operation requirements of each client’s applications. 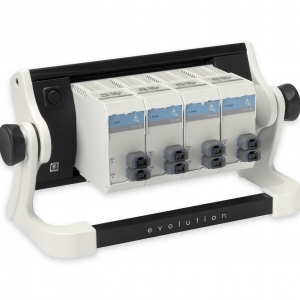 The Evolution Series of Signal Conditioners are designed for High Resolution or High Speed measurement of Temperature and Pressure at up to 15KHz Sampling Rate. Designed for applications where radiation of RF and Microwaves or EMI are present, the Fiso Evolution Series Fibre Optic Data Acquisition System is ready to acquire data in the harshest of environments. 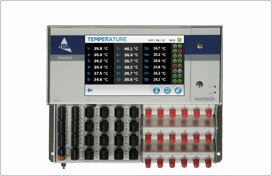 The UMI Signal Conditioner is designed to perform accurate multi-channel temperature, pressure, strain, refractive index, and displacement measurements. Thanks to its unique, patented technology, the UMI conditioner is capable of measuring the absolute cavity length of FISO’s Fabry-Perot fibre optic sensors with astonishing accuracy, providing highly accurate and reliable measurements. The UMI has a 0.01% full-scale resolution and a 0.025% full-scale precision.